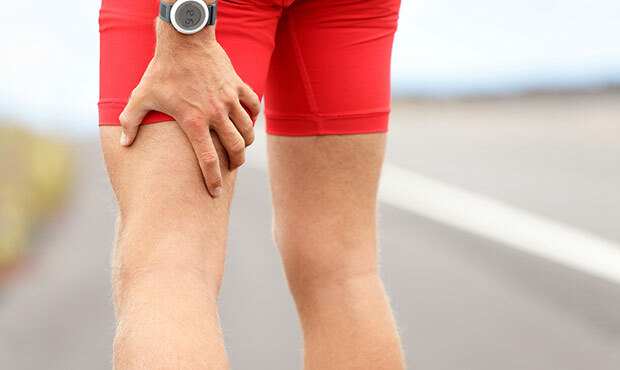 The hamstring plays a pivotal role in walking, jumping, running, cycling and swimming. The hamstrings are the powerhouse of your legs. They allow you to bend your knees, straighten your leg and control movement from the hip. A hamstring injury can cause a big disruption in your fitness or training regimen, leaving you on the couch for weeks if not treated right. A hamstring strain is an excessive stretch or tear to the muscle fibers. Once you experience any of the symptoms above, you should immediately stop your exercise. Apply ice to the injury and continue with R.I.C.E. therapy (Rest, Ice, Compression, Elevate). If bruising occurs—the result of internal muscle bleeding—use a compression bandage on the hamstring to minimize bruising. During the first few days, ice your hamstring with your leg straight. This will help control the swelling and gently stretch the muscle. Heat should not be applied until the third or fourth day. Heat may increase swelling or muscle bleeding. Use the compression bandage instead. Gentle stretching and light resistance will also help recover your hamstring muscle. Here are two effective stretches you can do at-home. Find a wall, pole or doorway. Lay on the floor facing up. Bring the injured leg straight up and rest it against the wall. Your healthy leg is either bent (if using a wall) or straight on the ground if using a doorway or pole. As you gain strength, you can move closer to the wall, pole or doorway. Sit on a chair or stool with wheels. Take the injured leg and straighten it out in front of you with heel staying on the ground. Slowly bend the knee of the injured leg so the chair starts to move forward. Try to move the chair from one side of the room to the other. If pain occurs longer than two weeks, you should seek medical help.